Many people probably have heard or evenexperience such a state, when it is appropriate to speak about the heart, that it "jumps out of the chest." 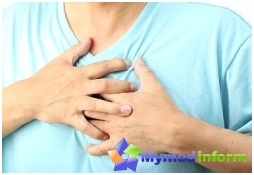 It's about heart palpitations, which is most often associated with strong emotions, anxiety, fear and other emotional states that sharply increases the heart rate. By itself, the reaction of palpitations are notIt is dangerous and does not indicate heart problems, if is a single character, and you can definitely tell the reason for which quickened the rhythm of the heart. 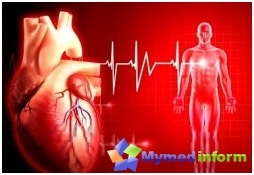 However, in some cases, accelerated heart rate may indicate a malfunction of the cardiovascular system. In medicine, this symptom is called tachycardia(From the Greek "Tachos" - fast and "Card" - the heart). Tachycardia is not a separate independent disease and is classified as a symptom of other diseases, and it is not always associated with the heart. An easy way to figure out whether the frequency of normalheart rate - regular monitoring of heart rate. To do this, checks should pulse at rest: a healthy human heart rate ranges from 50 to 100 beats per minute. Indications not be accurate if the pulse was measured immediately after a meal, in a state of emotional excitement, colds, accompanied by fever and so on. By the way, hence the inaccuracy is not uncommon diagnosis in internal reception at the doctor - patient anxiety provoking accelerated heartbeat. If you have to hike to the cardiologist, for a few days checks should pulse and blood pressure at home, when nothing bothers or worries, and at the reception show the data the doctor. If the metering pulse in calm conditions itfrequency is greater than 90-100 beats, it makes sense to see a doctor. In such cases it is possible to talk about the presence of tachycardia and it may indicate heart disease. The fact that many cardiovascular diseases develop "silence." 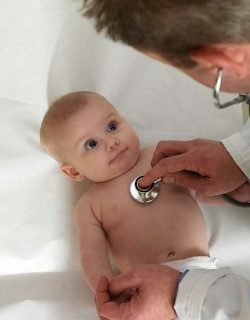 Their early diagnosis is precisely to monitor the pulse and blood pressure. These simple observations are available to anyone in the home, to help maintain health for many years. In addition to sinus tachycardia isolatedparoxysmal (ectopic). In the heart rate not only affects sinoatrial node, but other areas of the heart. When they strengthen their impulse activity, there is ectopic tachycardia. It happens both ventricular and supraventricular (i.e. atrial). However, such nuances able to identify only the electrocardiogram. In absentia type of tachycardia is not diagnosed and is not defined. Paroxysmal tachycardia - a sudden sharpincreased heart rate, which is usually preceded by a sense of anxiety and worry. Paroxysmal tachycardia more dangerous physiological, because it can be combined with an attack of an attack of angina (severe pain in the heart), panic attacks (anxiety, thoughts of death, severe anxiety of unknown origin), faintness, dizziness, and shortness of breath. Even more dangerous by the fact that this type of tachycardia may obscure myocardial infarction - life-threatening condition requiring emergency hospitalization. It is necessary to call an ambulance immediately ifheart rate during tachycardia attack exceeds 140 beats per minute. After ECG doctor will be able to determine what was the cause of paroxysmal attack, and it is vital. For example, atrial tachycardia may be triggered by prolonged stress and the presence of vegetative-vascular dystonia. This is unpleasant, but not fatal for life. 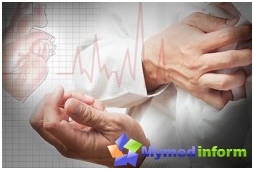 But ventricular tachycardia may indicate myocardial infarction, acute intoxication, acute myocarditis, and other potentially life-threatening conditions. Even if an attack of paroxysmal tachycardiadid not last long, and itself has stopped, it is important to consult a cardiologist. The danger of this type of tachycardia is that the attack could begin at any time and last for up to several days, if not a symptom of the time began to arrest under medical supervision. What is fraught with tachycardia, which was not treated and prefer to "tolerate" attacks as "not pass by itself." For example, cardiogenic shock. This pathological condition in which blood ceases to circulate in the body in a normal rhythm. As a consequence - unconsciousness, fainting. Among the harmful effects of tachycardia and congestive heart failure with pulmonary edema, coronary insufficiency, and a number of other pathological conditions, representing a direct threat to life. Panic attacks with acute attacks of fear of death, too, are the reason cause "first aid". If you already are familiar with tachycardia,it is in your power to keep symptoms under control and prevent the development of such severe consequences. Fortunately, tachycardia allows you to live a full life and not be afraid of constant attack, if the person is willing to take care of their body. The first step is to consult a cardiologist todetermine the type of tachycardia and the presence of underlying disease, which provokes its attacks. 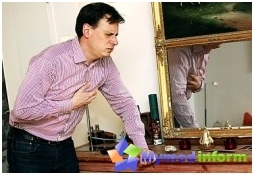 In this case, the main treatment will be in the treatment of disease, a symptom of which is tachycardia. As soon as the cause is eliminated, and tachycardia pass. vitamins group potassium and magnesium. 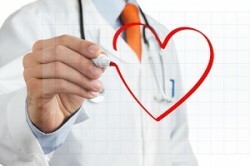 Medical therapy may also includeappointment of antiarrhythmic drugs. It does not self-medicate tachycardia, if attacks are regular and are not caused by the body's natural reaction to external stimuli. Keep in mind that different types of tachycardia require different therapeutic approaches. What are the costs of health insurance cover?